Custom handguns change plain black Glocks into ones that are unique and stand out from all the others. They can be made individually special with modifications to the frame, slide, or the entire pistol. That includes different custom finishes, colors, laser engraving, trigger jobs, slide cuts, and other techniques. Deep Laser Engraving into the slide’s metal and Laser Etching, which is surface engraving, present the ultimate in creative expression as your name, call sign, logo, or whatever you want can be engraved right into your gun. This reduces the trigger from 5.5 pounds to two to four pounds using all factory parts, which is a favorite with Law Enforcement since they cannot change their gun’s factory parts. 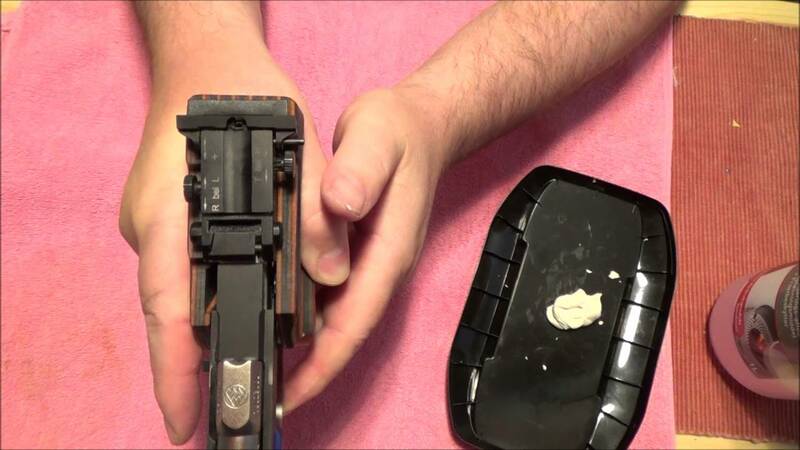 For self-defense and target shooters, the factory trigger weight can go from 5.5 pounds to approximately three pounds by replacing and installing a new connector and springs. The lighter trigger pull improves accuracy. * Frame Cut can use a range of modifications and reductions. * Finger Groove Deepening reduces the grip size but does not lose the signature finger grooves. * Finger Groove Removal removes the existing finger grooves to make the grip smaller and easier to manage with an even and smooth sanded texture. * Mag Release Scallop provides a functional and attractive small scallop or cutout enabling access and engagement of the magazine release. * Knuckle Cut provides a resting place for the primary hand’s middle finger and helps to prevent the finger callous that often happens when shooting a Glock. It also means better control and a more secure grip. * Trigger Undercut gives a place for the index finger on t support hand. GlockStore Performance & Custom Shop is proud to offer whatever customizations you desire, and three certified Glock Armorers on staff only work on Glock handguns. For example, their revolutionary Hydrographic Transfer Coatings is an innovative and durable dipping process for a beautiful finish to the frame and/or slide that is corrosion resistant and unaffected by cleaning solutions or solvents. The coatings are available in a multitude of patterns and colors and include such interesting ones as Military and Hunting Camouflages, Wood Grains, Animal Prints, Stars and Stripes, and many other unique designs.